Now a days computers are used in every field to increase the work speed and reduce the human workload. Computers can rather store large amount of data and and can easily access data whenever we want. Therefore, Computer are used in Banking, Business, Entertainment, Education, Marketing etc. But for data transfer between two devices we use CD’s, DVDs but now we use pendrive as a good and re-useable alternative of devices. Generally we need pendrive to transfer data from one location to another location or device. Pendrive is portable device which offer the storage large amount of data. Generally pendrive offer 1.5 MB to 12 MB per second speed. In some situations due to operating system error or due to some virus programs our pendrive data transfer speed get limited. Pendrive can used for various features like we can use pendrive as ram. Which is really amazing thing. But all these are few extra features Yet we mainly use pendrive for data transfers. Sometime we may feel that pendrive performance is getting slower. Therefore, today we discuss few factors which may help to solve out this issue. Thus, which help us to increase pendrive speed. We will try to fixed out the issue which may increase our pendrive data transfer speed. How To Increase Pendrive Speed. ? #1. 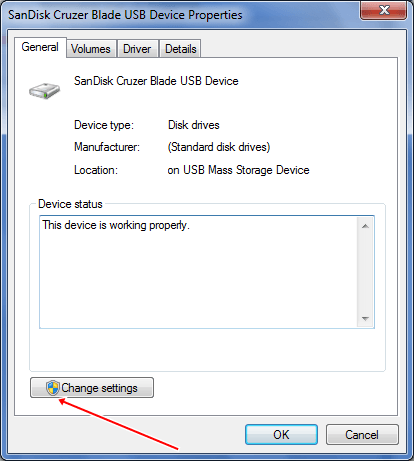 Steps To Change The File System Of Pendrive. #2. Steps To Change the Device Policy. #3. Checkout Performance Of PC. Hence, we are going discuss about different factors which are response for reducing pendrive speed. 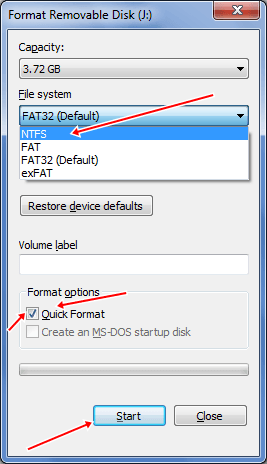 Change the file system of your pendrive because FAT32 can not handle large amount of data. 1. Plug in your pendrive into your computer or Laptop. 2. Then right click on your pen drive. A pop up menu will shown. 3. Then select the format option from the menu. 4. Then select the NTFS file system and unchecked the Quick format option. 5. Now click on start button. Now your file system is changed you will much greater data transfer speed. Note:- Before formatting the pendrive you must have to take the backup of your data Because formatting will lost your all data. 1. Plug in your drive and right click on your Drive. 2. Select the properties option from the popup menu. 3. Then, select the hardware tab from the next wizard. 4. 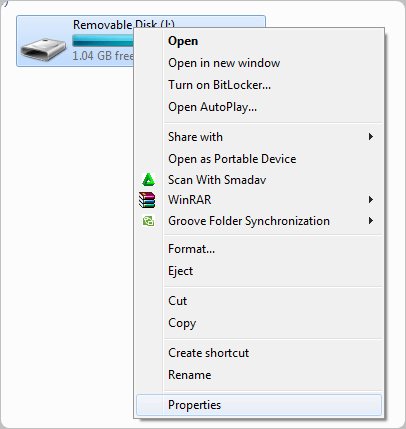 Now a list of drives in shown in hardware tab. 5. Then select your drive and click on properties button. 6. Next wizard is shown to you then select general tab and click on change setting button. 7. Then select the policies tab from the next wizard. 8. Now select the better performance radio button. #4. You have to upgrade your USB port driver version to 2.0 or 3.0 for higher speed. #5. 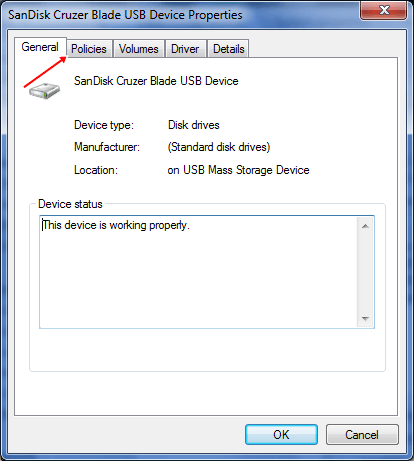 Reduce the simultaneous write operation to the same drive. #6. Format the drive after few days. Also try to format it at least one time in a month. 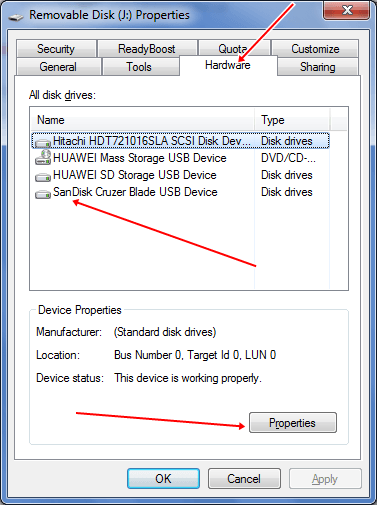 Right click on pendrive >> Then select properties >> Then select the tools tab >> Click on check now button. The tools will automatically scan and recover bad sector error. Hence, we hope these few tips to increase pendrive speed which will help you. We don’t guaranteed that it will surely increase pendrive speed. But these are optimum ways to fixed software and other bad errors for better performance. If you like this article don’t forget to share it with others.